Professional Brisbane Marriage Celebrant makes your day! 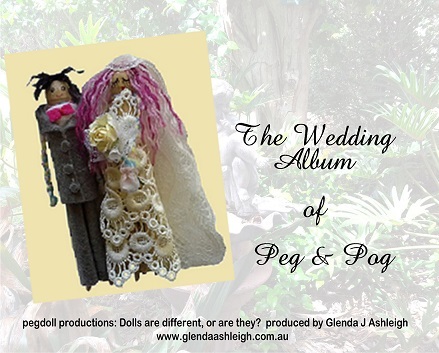 Glenda Ashleigh is Your Professional Brisbane Marriage Celebrant. With fifteen years experience, Glenda offers a range of delightful civil ceremonies for all life occasions. Other Civil Ceremonies, for all life occasions. These ceremonies include Naming, Renewal of Vows, Celebration of Life and Funeral ceremonies. Happy clients appreciate my professional, friendly, and caring approach. Your day, your way. I listen carefully, and respect your wishes and ideas. Together, we make your hopes and dreams happen. Delighted clients give their honest reviews in these real testimonials and recommendations. Contact Glenda now and enjoy your special day! Commonwealth-registered Marriage Celebrant, (CMC), authorised by the Australian Attorney General to conduct marriage ceremonies in Australia since 2004. Current registration as a Marriage Celebrant. This means that I meet all registration requirements to conduct a marriage for two people according to the Marriage Act. Annual professional development through the Marriage Celebrants Program of the Australian Attorney General keeps me up-to-date. Certified Practicing Celebrant (CPC), an award by the Professional Celebrants Association Inc. Certificate IV in Celebrancy as a Marriage Celebrant, as well as a Funeral and General Life Celebrant. You talk and I listen, carefully. This is the professional edge that means you get the information you want. As a Professional Celebrant, I am confident in public speaking and communicating with people of all ages and backgrounds. As your Professional Marriage Celebrant I offer a range of affordable wedding ceremonies. I believe in giving back to the community. I am a member of the JPs in the Community Program as a JP(Qual) and also as a History Guide at a local heritage-listed house. Being part of Community Theatre, both on and off stage, is great fun and connects me with people of all ages and backgrounds. Membership of the Australian Marriage Celebrants Association Inc. helps me to maintain a high level of professional service to clients. As a Professional Marriage Celebrant, I keep up-to-date with all the current legal aspects of marriage, ceremony requirements and trends. Most importantly, this means that clients get the expert information they want. 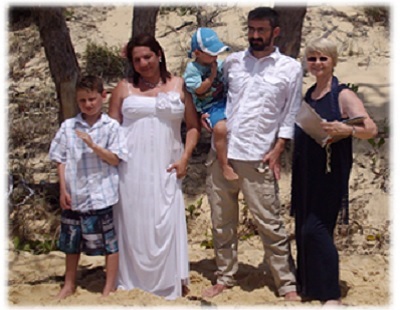 Contact Professional Brisbane Celebrant Glenda now and enjoy your special day!